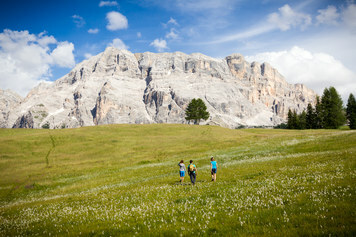 Paths wind their way through the spectacular scenery of the Dolomites with trails to suit hikers of all ages and abilities, from the most experienced to those who just want a nice quiet walk. 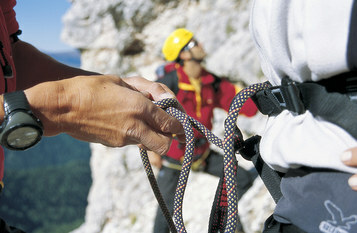 During the summer, hikers can take advantage of the mountain pass service which takes them directly to the mountain top. The Dolomites are the number one location for via ferratas (literally iron paths) in terms of their quantity and quality: experienced climbers are familiar with the thrill of tackling these difficult but exciting routes. Even beginners can rise to the challenge but we recommend you take advantage of the experience of our alpine guides: we guarantee it will be an unforgettable experience.